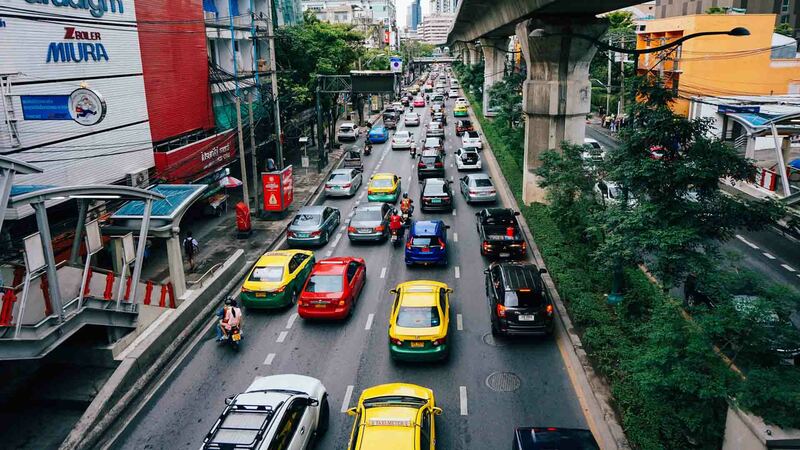 An exciting new competition supporting innovative ideas that enable safer and more efficient transport in low income countries in Africa and South Asia. In 2018, the Applied Research Programme in High Volume Transport (HVT) ran an exciting new competition called Transport-Technology Research Innovation for International Development (T-TRIID). The competition has funded short projects supporting innovative ideas that enable safer and more efficient transport in countries across low income countries of Africa and South Asia. The Transport-Technology Research Innovation for International Development (T-TRIID) Fund sponsored by DFID High Volume Transport research programme supports individuals and organisations to identify and share innovative concepts and solutions to the challenges facing transport sector in Low Income Countries. T-TRIID is not about ideas but about making those ideas happen. T-TRIID applicants pitched projects that offer technical, operational or policy-based solutions in the themes of long distance strategic road and rail transport, urban transport, low carbon transport, and gender, vulnerable groups and inclusion (particularly the disabled). University of Southampton . Working with the Bangladesh University of Engineering and Technology, to produce an online toolkit to help low income countries redesign urban environments, particularly around schools with the aim of safeguarding vulnerable road users (namely children). Amend.org. An innovative approach to speed enforcement in Mozambique’s largest city Maputo, which suffers from a poor road safety record. Partnering with the traffic police, drivers caught speeding may find themselves being questioned by child judges in the Kids’ Court. Water Fuel Engineering. To retrofit prototype autonomous electrolysers onto buses in Hyderabad, India. Proxad Ltd. To fund a feasibility study in South Africa to evaluate the potential for real-time onward journey ride-matching technology. Nepal Commutiere. To aid a small startup that will utilise locally available parts and materials to provide low cost, pedal-assisted, battery-powered conversion kits and servicing to the community of 1,000 rickshaw pullers of Kathmandu and later to the tens of thousands of rickshaw pullers of Nepal. Intrepid Minds Ltd . To support the Hubz project — an online tool and app to link the thousands of small business operators across South Africa with the capability to transport goods across a multi-modal network. My Smart Remote Ltd . To help fund a real-time driver’s sleep and distraction prevention system. Peter Davidson Consultancy Ltd. For research into the feasibility of developing a transport scheme business case tool including developing a prototype and market testing it. Echo Mobile . To fund a Kenyan SME to fit 60 minibuses travelling from Nairobi to other city centres in Kenya, with a GPS device to track unsafe driving. Integrated Transport Planning Ltd . To develop existing public transport modelling technology to analyse road networks. The HVT programme is implemented by IMC Worldwide, supported by Knowledge Transfer Network (KTN) and funded by the Department for International Development.